I like the "Neutral" stance of Han...they could easily have made him in "Mid Thaw" pose or in bent over "Blind Man defeats Boba Fett" stance. While I would have prefered Ball Joints at the Shoulders and elbows, I'm just happy to get a new version of this Han. The most important part of the Boush/Leia is the lack of molded Thermal Detonator (as most of you guys have already mentioned). I also noticed she has knee articulation. I can't tell a difference between the Bib Fortuna and the one I already have, but I don't really like aliens that much. My only complaint is that calling this the "Battle of Carkoon" wave....The figs seem to represent Jabba's Palace more. As for the rumored other figures.....if It's not a newer/updated Version of VOTC Fett, I'll leave it on the shelf. I'd pick up a repainted/tweaked Barada,. My heart skipped a beat... And I had a sudden urge to go to TX and rifle around in people's garbage. Was anybody at the Comic Con? All the pictures of Han Solo are grainy and I was wondering about the Articulation..... Obviously it has shoulder and leg/hip....Did anybody get a good look at whether there is elbow, wrist, knee, ankle, neck ? I'm supprised no new images have surfaced yet, we will probably see these by December, I remember people were finding the '04 SAGA in December of '03, it is already October, I'd think we'd have at least seen those same loose shots in better quality appear somewhere. Yeah, it is a bit surprising that those shots haven't popped up again in a nagazine or anything. I'm ready for some closer looks at the 06 line as well, and thought we'd start seeing them by now. I thought I read awhile back (maybe on a GH Q and A?) that we'd be getting more information from Hasbro in October, including more about the Hoth wave. That could be way off though, who knows. It seems like we usually know a little bit about the first wave or two by now, or by the end of this month for sure. Bring on the OT figures again! Where did you guys see those grainy pics? That Boussh and the Bib are so ******* cool. I can't wait for these to come out. Boussh and Bib have been two of my most wanted resculpts, so its great to see these. I like that Boussh more and more everytime I see it. Articulated Wrist...probably not ball jointed shoulders and elbows, but it looks like Ball Jointed Knees so I still like it. Somebody mentioned that they though the helmet looked too big, I wonder if it is the Top-down angle. I'm going to watch some ROTJ this week to see the proportions. 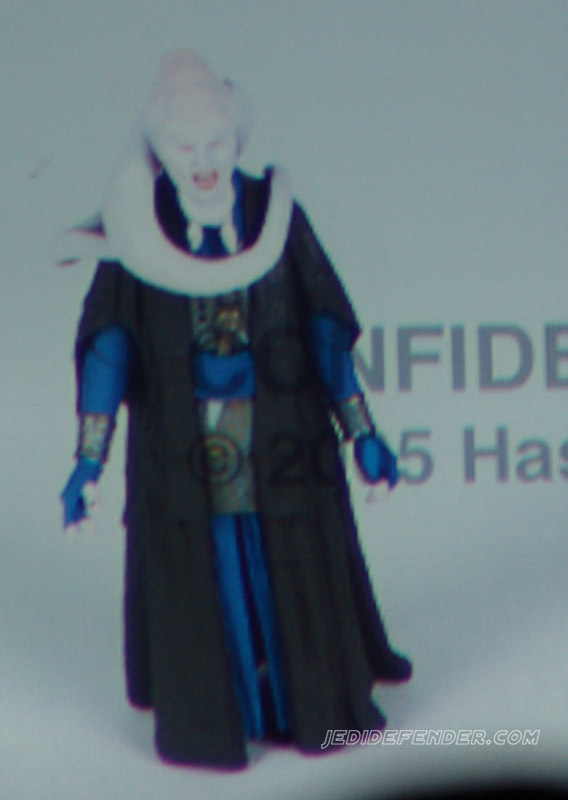 I even like the Bib Fortuna. 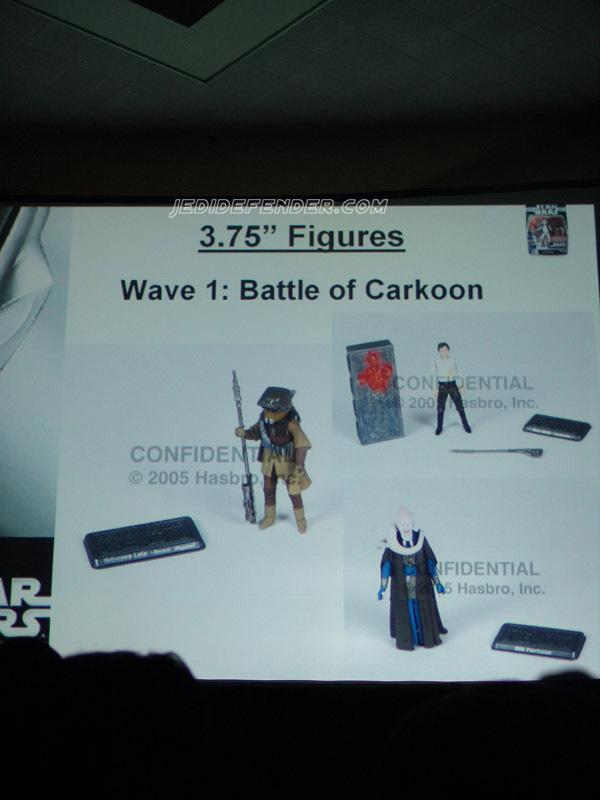 Mousedroid has a first look at this wave, with carded pics of all the figures included in the Battle of Carkoon Wave. 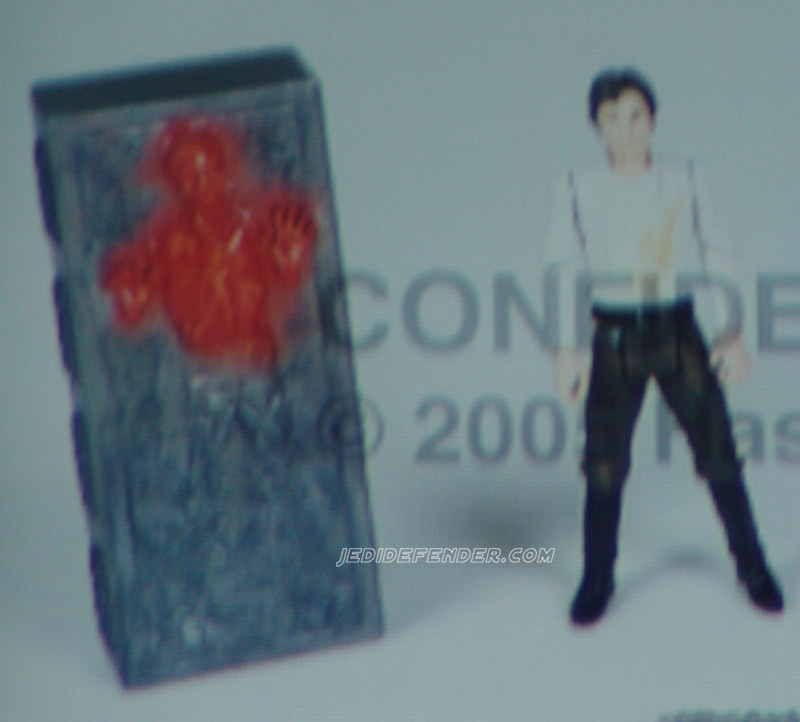 There are also a couple of cardback looks, which does reveal the rumored "holographic figure" with each figure. The figures look pretty good from what I can see, and I'm liking the packaging personally. Hit the linky above for all the pics, if interested. Wow, just when we were complaining we hadn't see new pictures yet, here they come! 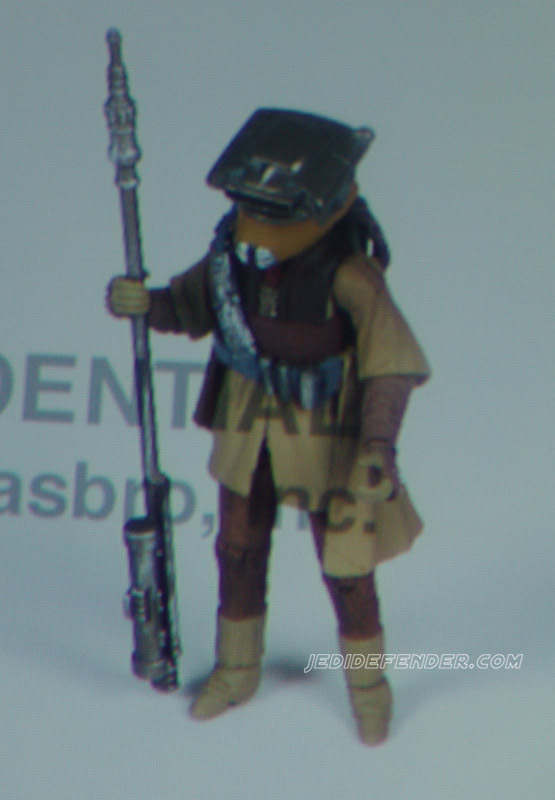 I'm really glad to see the Boushh removable helmet, just wish the pictures were bigger! As for the mini-hologram figures - eh. Could be cool depending on the character, but I really dread the thought of all the variations it could lead to. I will hate to have to try to collect all those too, especially if it means having to buy figures I already have to open then to get the stupid things. I'm not a carded collector, but I'm with you mosnab, I like the packaging! I'm really excited about Boussh, Bib and even Han. As I've been working on my Jabba's palace diorama, they've really been the sore thumbs in my setup. Especially if you put POTF2 Boussh next to OTC Lando skiff guard.